The 2018 football season has the potential to be a record-setting one for Bowie State’s Amir Hall. Hall heads into the season with career totals of 522 completions in 827 attempts while he’s thrown for 71 TDs and a total of 7,206 yards in the last two seasons. With another season like the first two he’s had, he’ll threaten the career marks in all of those categories as he looks to impress pro scouts and lead Bowie State to glory. When it comes to quarterbacking legends, the CIAA has had its share, particularly over the last 30 years. In this post we’ll take a look at the no. 4 quarterback on our list. 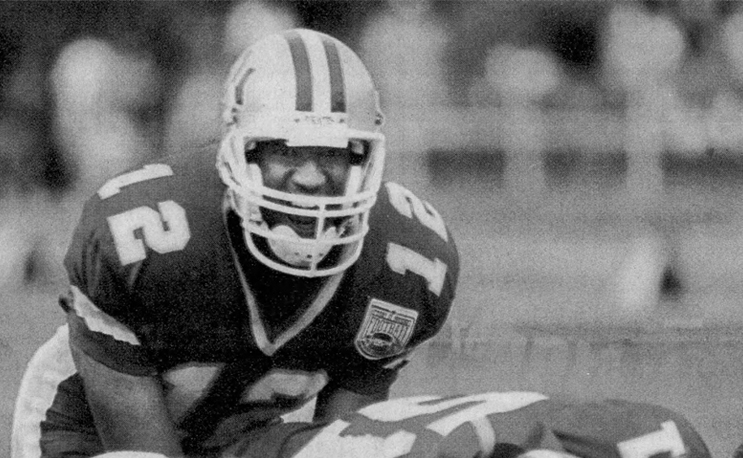 The winter of 1991 was a pivotal time for Hampton football. The school had Division I aspirations, but they struggled to compete against the Winston-Salem States and Virginia Unions of the CIAA in the late 80s and early 90s, going 2-9 that season. Enter Joe Taylor, who was a thorn in Hampton’s side at VUU for many years. Taylor inherited a rising sophomore quarterback named Matt Montgomery from Gaffney, South Carolina. Led by Montgomery and Taylor, Hampton went on a run that would separate itself from the rest of the CIAA and move it into Division I. Starting with a 1992 suprise title, Montgomery led Hampton to three-straight CIAA crowns as a steady leader, an extension of Taylor’s no-nonsense leadership. He didn’t have the flair of some of his contemporaries like Howard’s Jay “Sky” Walker, Alcorn State’s Steve “Air” McNair or his nemesis Aaron Sparrow, but he did more winning than all of them, at one point leading Hampton to 17-straight wins. His 1994 squad averaged better than 500 yards per game in total offense. He finished his career with 525 completions for 7,839 yards and 63 touchdowns, all of which were just behind Harvey in terms of the CIAA record books when he finished his career in 1994. He finished with 8,311 yards of total offense and still holds most of Hampton’s career passing marks. Add in his three conference titles, and you can’t ask for much more than that. Hopefully one day soon he’ll get the nod at the CIAA Hall of Fame.